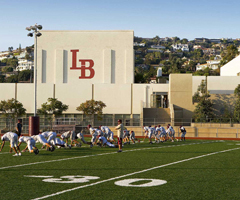 LBUSD is one of 373 school districts in the U.S. and Canada being honored by the College Board with placement on the 9th Annual AP® District Honor Roll. Since 2016, LBUSD has increased the number of students participating in AP while also increasing or maintaining the percentage of students earning AP Exam scores of 3 or higher. The Laguna Beach Unified School District has begun administration of the 2018-19 Local Control and Accountability Plan (LCAP) Survey to gather feedback on the implementation of the district goals and state priorities. The results of the CAASPP tests, which were completed by students in grades 3-8 and 11 last spring, have been released by the California Department of Education. The latest data shows that the LBUSD continues to be one of the highest performing districts in California in English language arts and mathematics. Dr. Jerry Weichman, popular speaker and parenting expert, returns to the LBUSD on October 22 for Part II Raising Healthy and Resilient Teens: Social-Emotional Support. He will explore anxiety, depression, fostering resiliency, stress-related disorders, low self-esteem, and warning signs. September is Suicide Prevention Month and the Laguna Beach Unified School District continues to take essential steps to enhance prevention and intervention efforts for students, staff, and administrators K-12. A popular speaker and parenting expert, Dr. Jerry Weichman will join Laguna Beach Unified School District parents for a discussion focused on addiction and the parental role in providing support. Light refreshments and childcare will be provided. Please visit www.lbusd.org/parented to RSVP. On August 28, at the annual Welcome Back Breakfast for LBUSD employees, Superintendent of Schools Dr. Jason Viloria named Spanish elementary school teacher Jason Fritze the recipient of the 2018 Spirit of Laguna award. The award recognizes a District staff member who exemplifies extraordinary service to others. Announcing auditions for the LBHS Drama Fall Play, Romeo & Juliet. Auditions will be held Wed. & Thurs., 9/5 & 6 from 6-9pm in the Greene Room (LBHS 55) and are open to all LBHS students. Please sign up for an audition time and complete an audition form. The Annual Data Confirmation process for all LBUSD families is scheduled to open Wednesday, August 15. All LBUSD families will receive an email on August 15 with the Data Confirmation instructions. Freshman Orientation - Monday, August 27th, 8am-noon! DON'T MISS IT! Four LBHS teachers were awarded grants totaling $20,000 from the Festival of Arts Foundation to enhance the fine arts department, specifically the school's art, ceramics, dance, and theater programs. Each teacher received a $5,000 grant for their program. The LBUSD recognized FOA at the June 26 school board meeting.